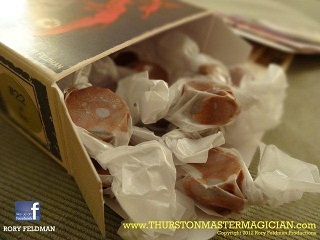 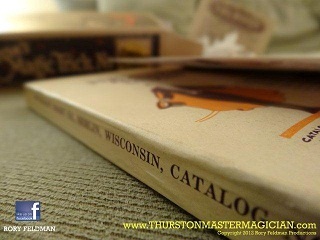 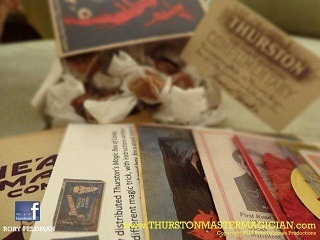 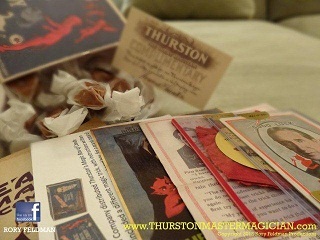 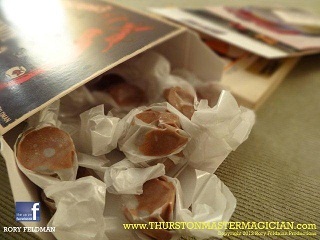 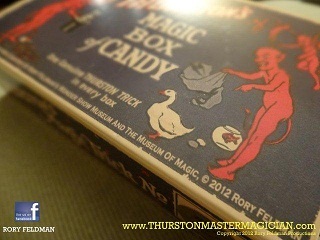 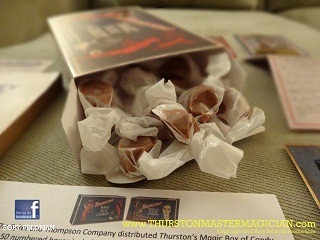 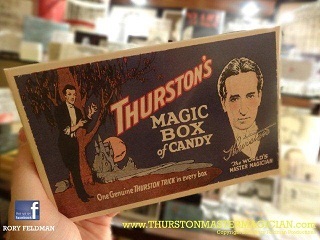 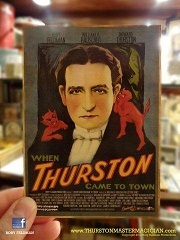 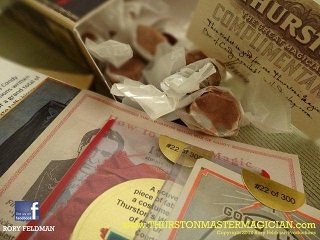 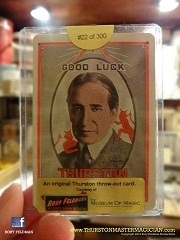 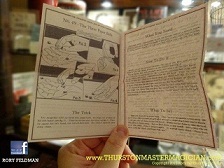 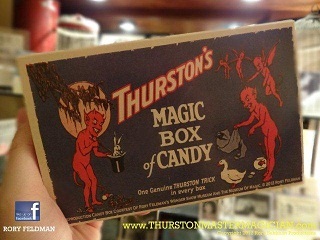 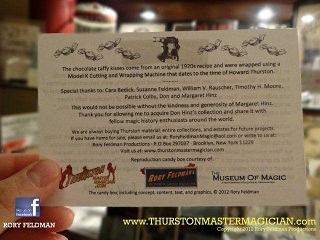 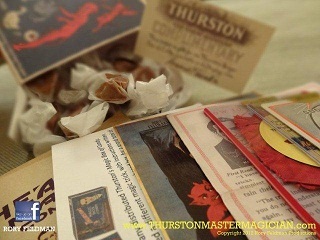 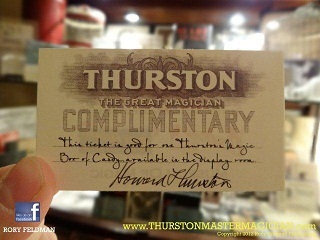 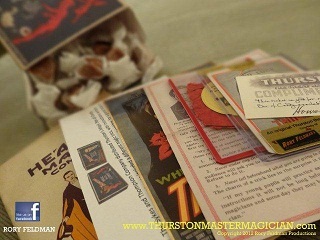 In 1922, The Sykes and Thompson Company distributed Thurston’s Magic Box of Candy. 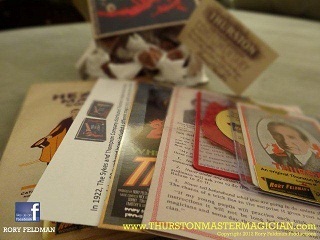 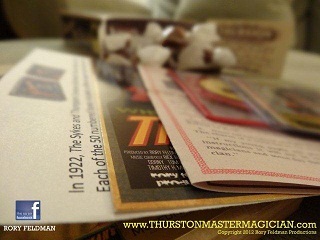 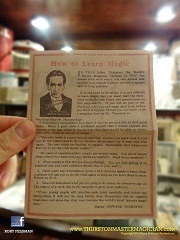 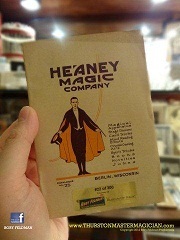 Each of the 50 numbered boxes included a different magic trick, with instructions written by Walter Gibson. 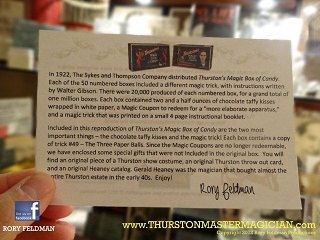 There were 20,000 produced of each numbered box, for a grand total of one million boxes. 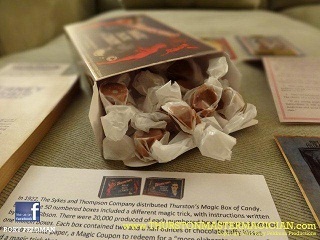 Each box contained two and a half ounces of chocolate taffy kisses wrapped in white paper, a Magic Coupon to redeem for a “more elaborate apparatus,” and a magic trick that was printed on a small 4 page instructional booklet. 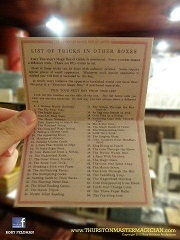 Today, only one box is known to exist. 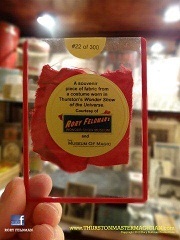 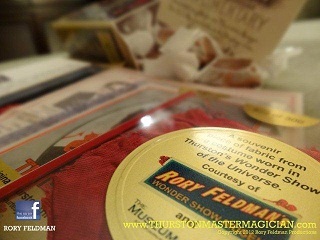 It is in the Rory Feldman Collection. 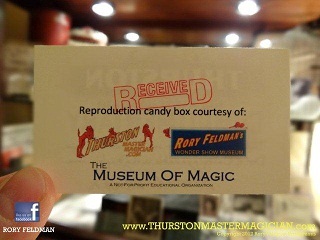 contents of this modern day reproduction is. 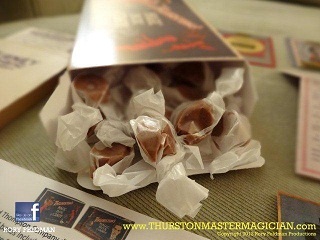 The chocolate taffy kisses come from an original 1920s recipe and were wrapped using a Model K Cutting and Wrapping Machine that dates to the time of Howard Thurston.